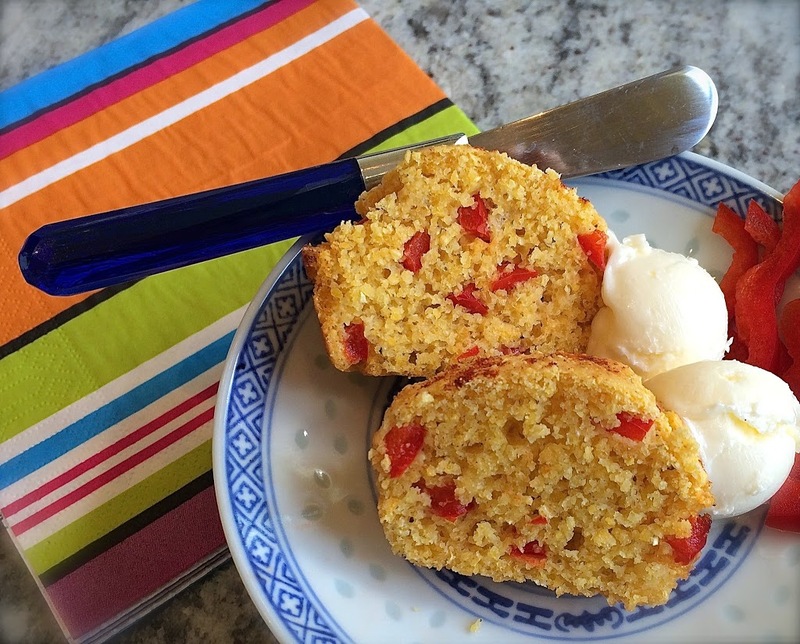 This is the story behind Easy Sour Cream Cornbread. 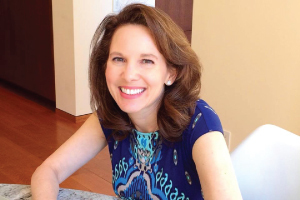 Recently I started writing a recipe column for my neighborhood magazine. Every month I feature one of my neighbors making their favorite recipe at home. This week I had the privilege of meeting my neighborhood police and firemen and seeing them in action in their kitchen. Since one of the Captain’s who normally cooks is away on training, I made his chili recipe and brought it to the station along with lots of freshly baked cornbread. I enjoyed meeting and feeding the incredible men and women who are on call 24/7 protecting my town. I learned that our local patrol officers are all triple certified and take turns, in a 24 hour shift, rotating between police, fire and EMS duty. As a bonus, I got a tour of the newly renovated, beautiful station (with multiple kitchens) and town hall. Since the law enforcement on duty enjoyed the cornbread, I thought maybe you would enjoy the recipe too. Make it plain or add a kick of cayenne and maybe some chopped red peppers. 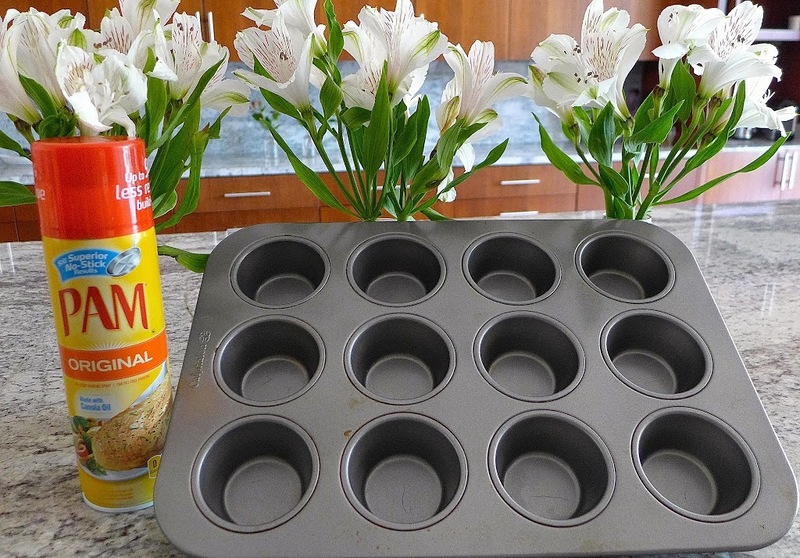 Use a muffin tin or make it in a pan. 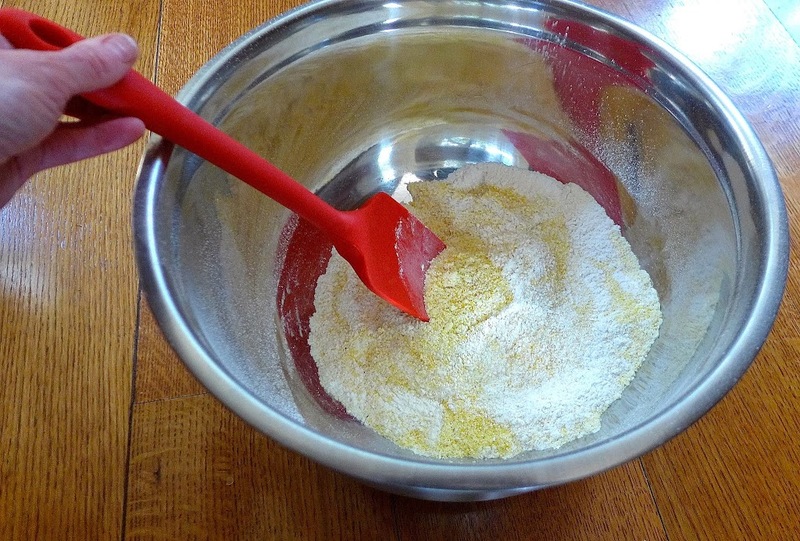 Cornbread can be gluten free: just use gluten free flour and baking powder. Melted butter makes it moist but is optional if you are counting calories (and fat). Use the photos as a guide and Dig in to cornbread! Heat oven to 350 F or 325 F convection. 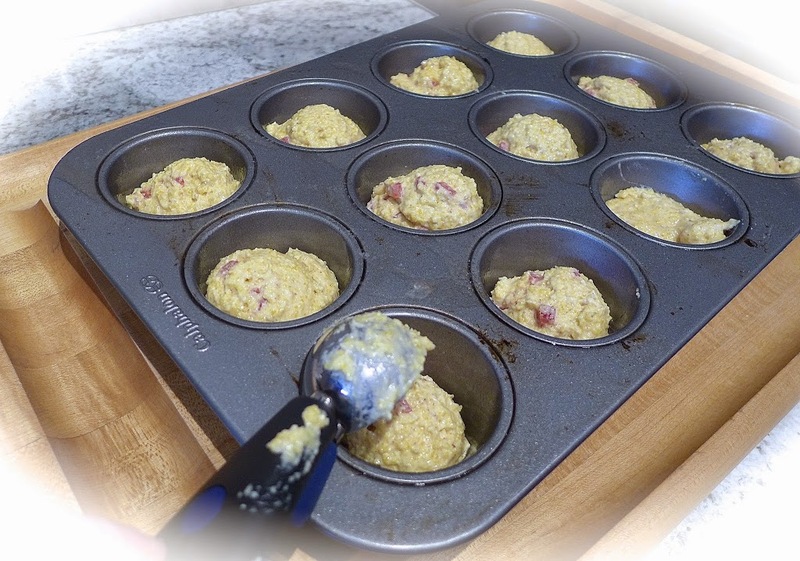 Spray or butter inside of muffin cups or use liners. 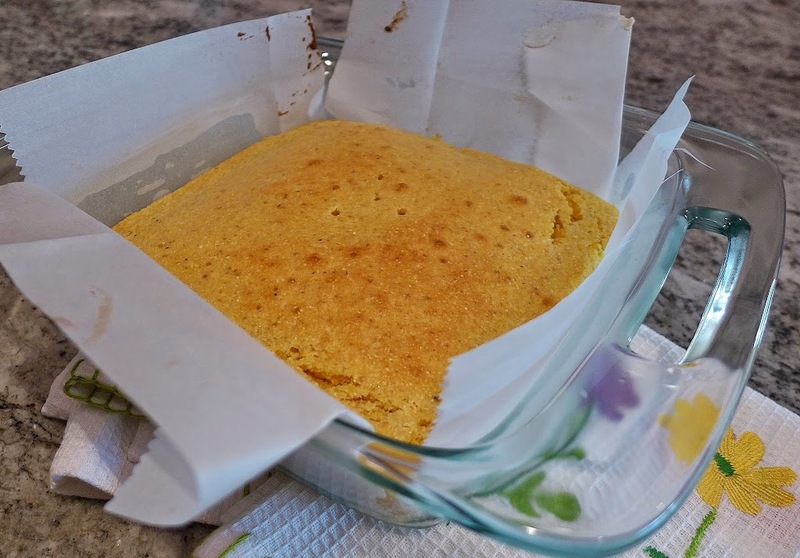 For cornbread “cake”, line an 8 x 8 baking pan with parchment or foil. Combine dry ingredients. 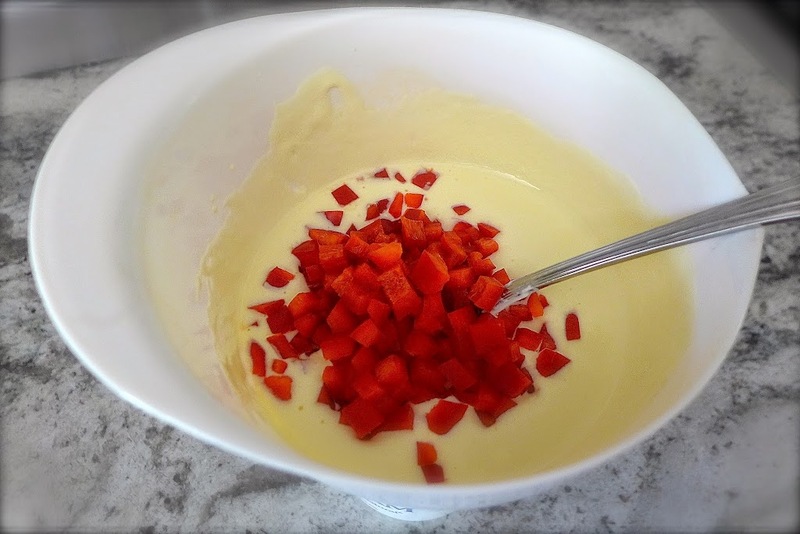 In a medium size bowl, mix together corn meal, flour, sugar, baking powder, salt and cayenne (optional). 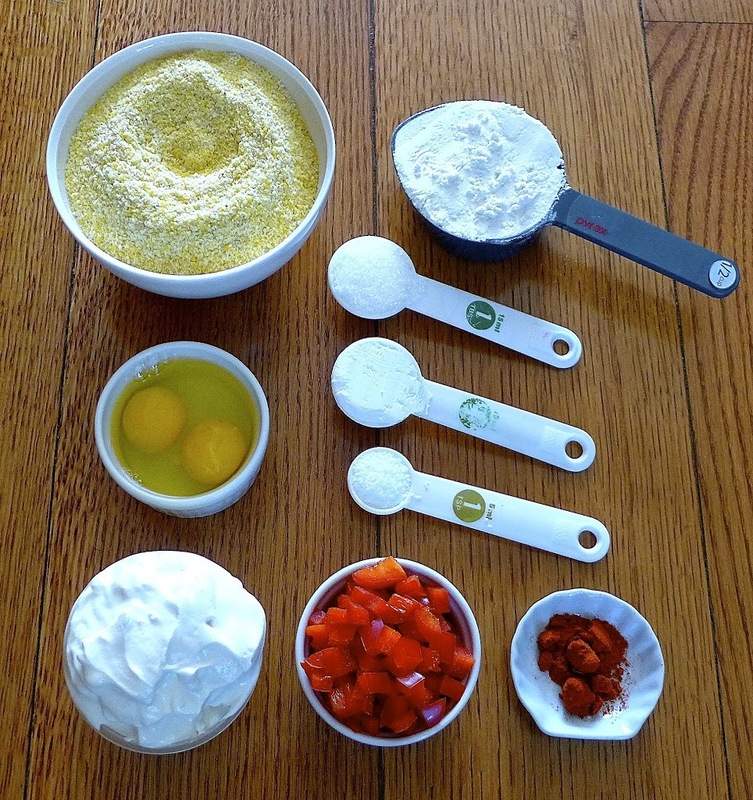 Combine wet ingredients. 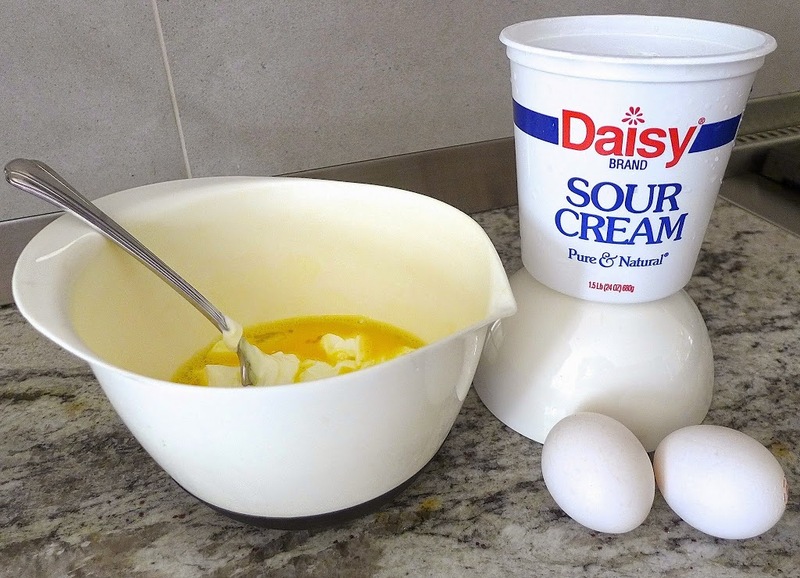 In another bowl, beat eggs lightly, then add sour cream and (optional) melted butter and whisk until smooth. Stir in red peppers, if using. Pour wet ingredients over dry and stir gently with a spatula until thoroughly mixed. Batter will be stiff. 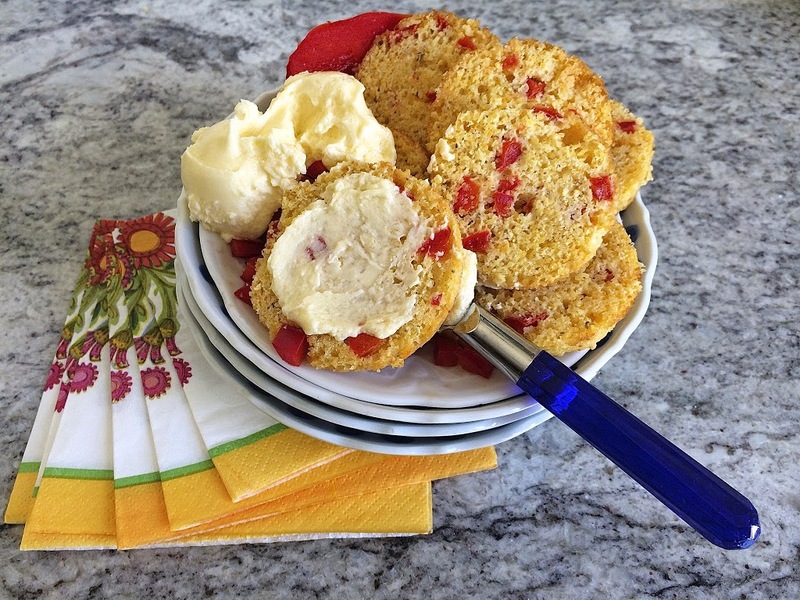 Fill muffin cups using an ice cream scoop or spoon. 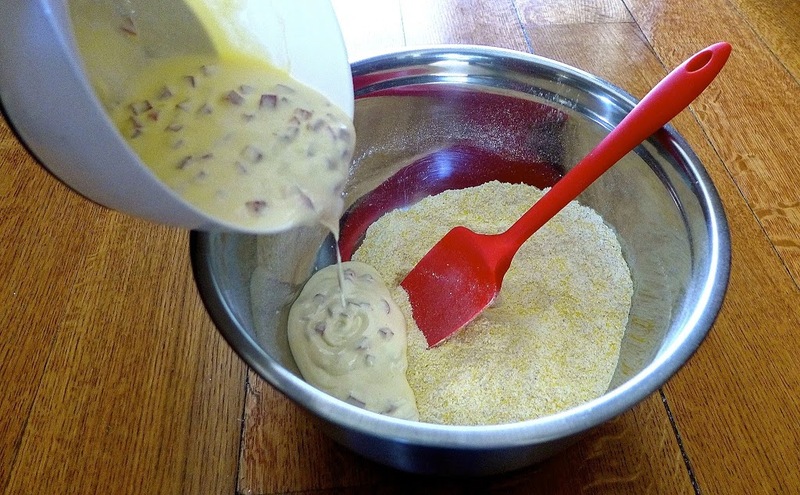 For cornbread “cake”, pour batter into pan and smooth top. Bake mini muffins 10 -15 minutes, regular muffins 20 – 25 minutes and cake 25 -30 minutes. Start checking minis after 10 minutes and regular and cake after 20 minutes. Cornbread is done when a toothpick inserted in the middle comes out clean. 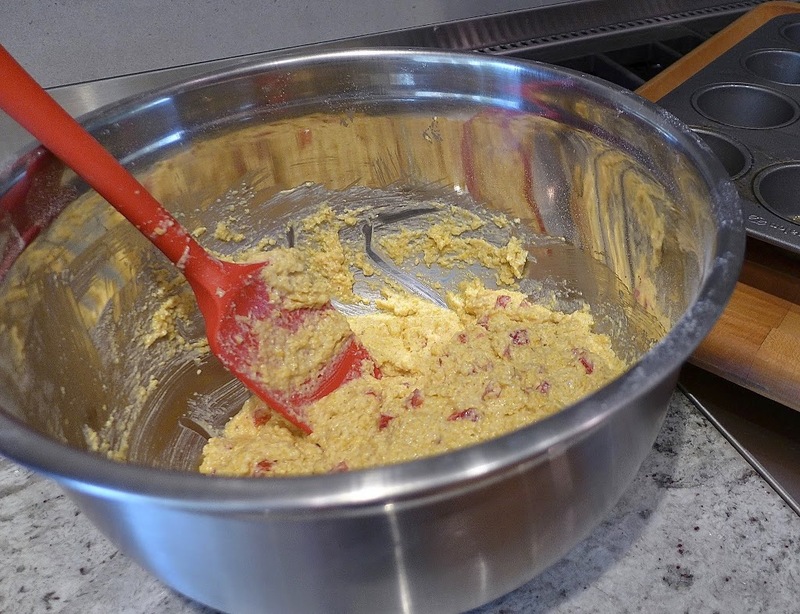 Cool 5 -10 minutes before carefully removing muffins or cake from pan. Brunch: Serve with butter and spicy jelly or chutney. Picnic: Serve with pimento cheese, egg, tuna, chicken, fruit and vegetable salads. Vegetarian/Vegan/ Gluten Free: Serve with hot and cold vegetable entrees like squash casserole or tomato and mozzarella salad. 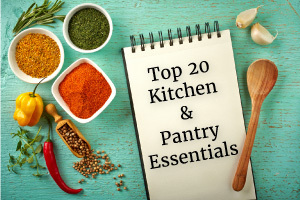 Serve with combination proteins like red beans and rice, lentils, quinoa or any kind of bean or legume combination. 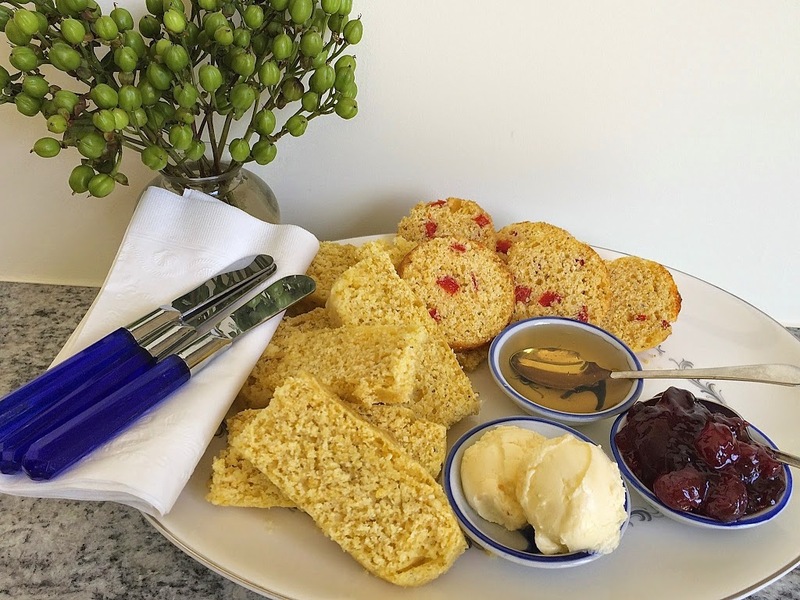 Nutrition information using all purpose flour and real butter. 12 servings.